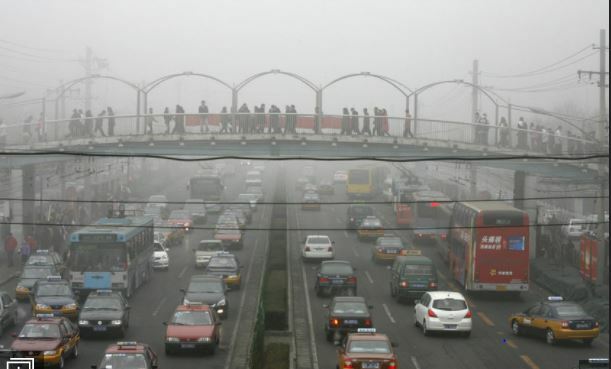 Nitrogen oxide: Is it really that dangerous, lung doctors ask? Here we’re quoting the most relevant part of a longer article discussing this issue, also including particulates. Has the German public and the world been fed a scare story that gives diesels an unfair image, to some extent at least? Several German pulmonary physicians question the current nitrogen oxide and particulate matter limits, says DW.com. These are inadequate and mainly based on questionable epidemiological studies, they say. Many victims of smoking, but where are the NOx deaths? Why not just drop the fuel taxes and have every private car user pay mileage fees, maybe based on vehicle weight? Since electric vehicles use no gasoline, their drivers pay no gasoline tax. And as more people drive EVs, gas-tax revenue for road repairs is dwindling, says Phys.org. 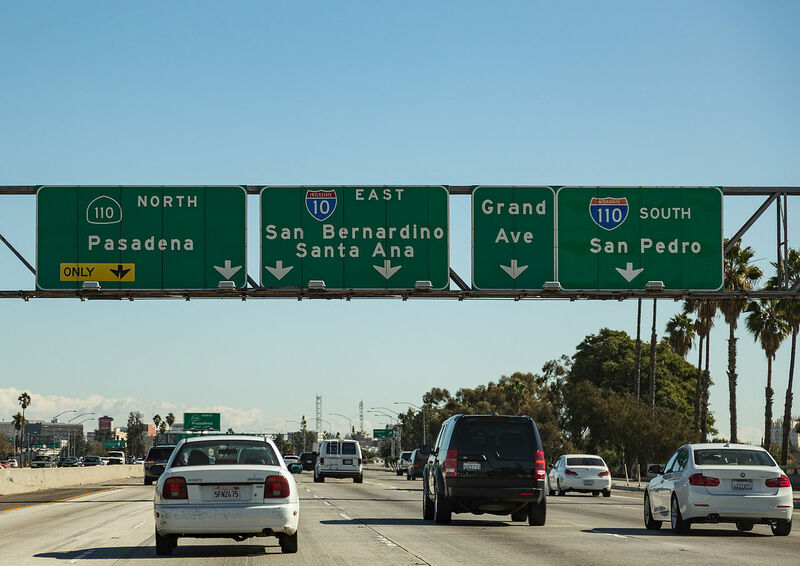 So how can California and the rest of the country avoid road-funding shortfalls and ensure that EV drivers pay their share of needed repairs? Land-grown biofuel is in enough trouble already as an enemy of the environment. But the vain pursuit of the imaginary CO2 enemy leads to numerous bad policy decisions. 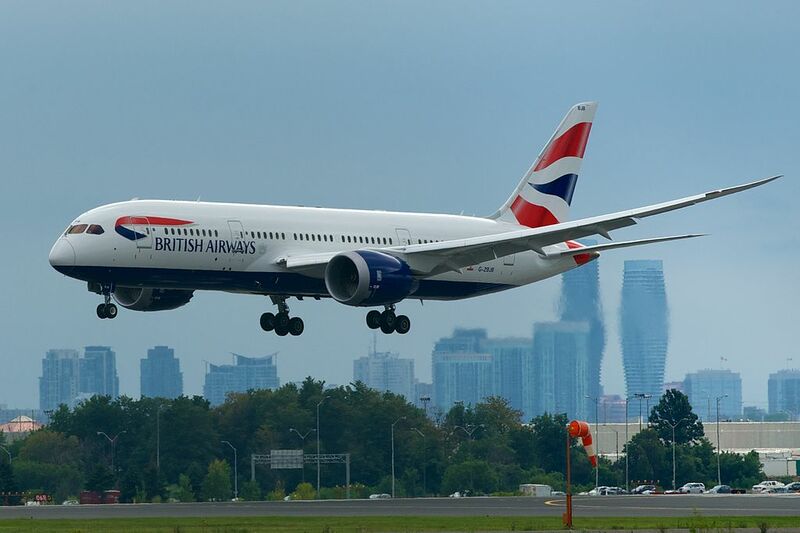 Air travel is a miracle of our modern society, writes Steve Goreham at MasterResource. From the ‘you couldn’t make it up’ department. ‘Who’s heading this investigation? 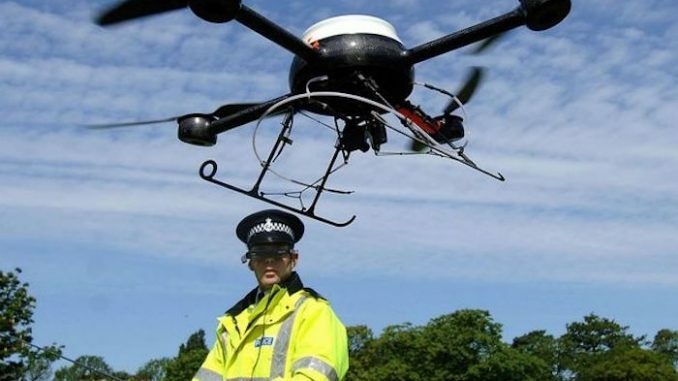 Inspector Clouseau?’ Twitter pokes fun at police claims there may not have been a drone flying over Gatwick with hilarious memes. Flights were suspended for more than 36 hours from Wednesday, causing Christmas travel chaos at Gatwick airport in Crawley, West Sussex, reports the Daily Mail. But police said the drone may never have existed. The car was only three months old, and as the owner said, if it had happened at home the house could have been set on fire. 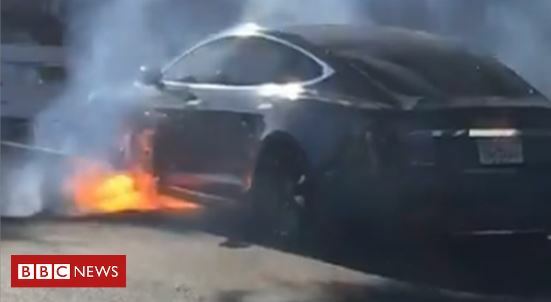 A Tesla Model S ignited three times in one day, a northern California car owner and firefighters told ABC News. While driving on a highway on Dec. 18, the driver got a tire pressure warning indicating a flat tire, and had the car towed to the nearby Los Gatos Tire and Auto Repair, Santa Clara County Fire Captain Bill Murphy told ABC News. It looks like the EU is aiming to limit the supply of non-electric vehicles in order to reach an arbitrary ‘climate target’. What, if anything, this might mean for imports is not clear but their own manufacturers are not happy, for obvious reasons. European Union members and the European Parliament on Monday agreed to slash carbon dioxide emissions from new cars by 37.5 percent by 2030, the European Commission announced. The announcement comes two days after the end of the COP24 summit in Poland where one of the largest disappointments for countries of all wealths and sizes was the lack of ambition to reduce emissions shown in the final text, says Phys.org. Strong resistance to paying any more for climate-related ideology through vehicle fuel bills continues in France. As the President suggested, many people are more interested in the end of the month rather than the (alleged threat of) end of the world. Trace gases are not a big deal to much of the public, it seems. Making ends meet is the top priority. 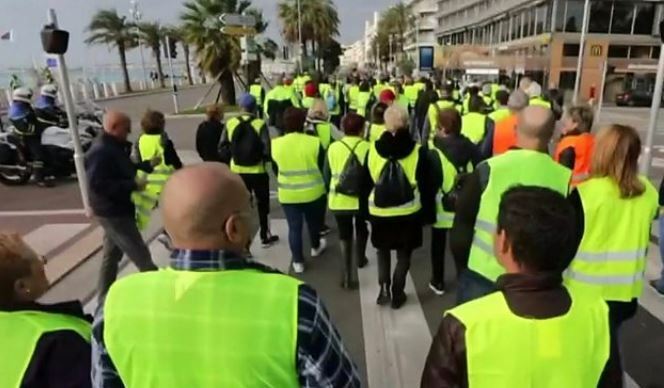 This is the third weekend of ‘yellow vest’ protests against President Macron’s controversial fuel tax, reports BBC News. Protesters have scaled the Arc de Triomphe in central Paris, as clashes with riot police continue during a third weekend of “yellow vest” rallies. As one researcher said of the Chinese government: “Tracking vehicles is one of the main focuses of their mass surveillance.” People anywhere can already be tracked via mobile phones, but this takes it a bit further. When Shan Junhua bought his white Tesla Model X, he knew it was a fast, beautiful car. What he didn’t know is that Tesla constantly sends information about the precise location of his car to the Chinese government, reports TechXplore. Tesla is not alone. 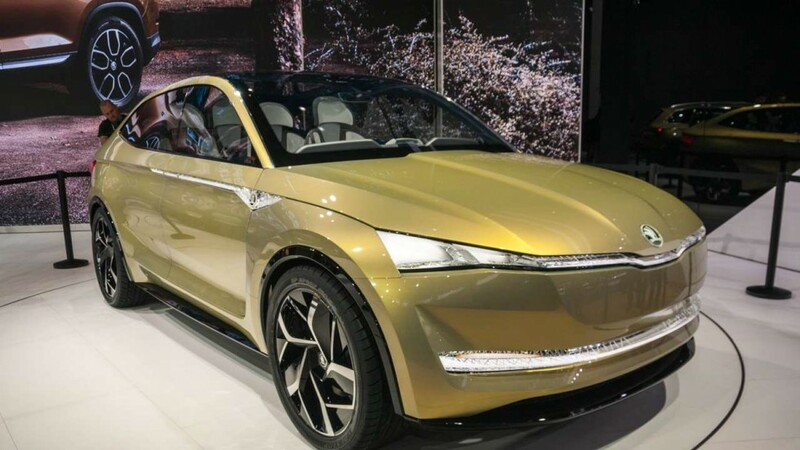 China has called upon all electric vehicle manufacturers in China to make the same kind of reports—potentially adding to the rich kit of surveillance tools available to the Chinese government as President Xi Jinping steps up the use of technology to track Chinese citizens. Bad news for the workers, but most of the public just don’t want expensive electric cars when better options are available. Economic textbooks are being re-written to explain how a President with so many economic tailwinds could double the debt and have 0.00% interest rates and get so little for it. You really have to try really hard to fail so badly. The silver lining is that all President Trump had to do was reverse Obama’s policies and the economy exploded. Reagan did the same thing after Carter. Anyone who thought the UN climate alarm crew were a bunch of phoneys is not going to be dissuaded by this. 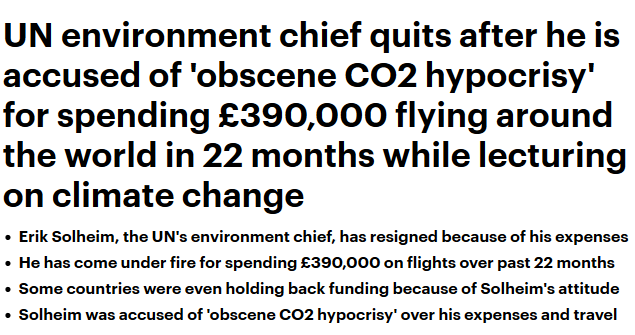 The United Nation’s environment chief has resigned after being accused of ‘obscene CO2 hypocrisy’ for the expenses he claimed while flying around the world to give lectures on climate change. Erik Solheim has stepped down from his role after an internal audit revealed that he had spent £390,000 on flights and hotel stays in just 22 months and had spent 80% of his time away from his base in Nairobi. It is believed that Solheim was asked to resign by the UN secretary general, António Guterres and a UN staff union leader branded some of his expenses as ‘mind-blowing’. Countries like the Netherlands, Denmark and Sweden were so incensed at Solheim’s attitude that they were withholding tens of millions of dollars in funding to the UNEP, the UN’s environment programme, threatening a financial crisis. 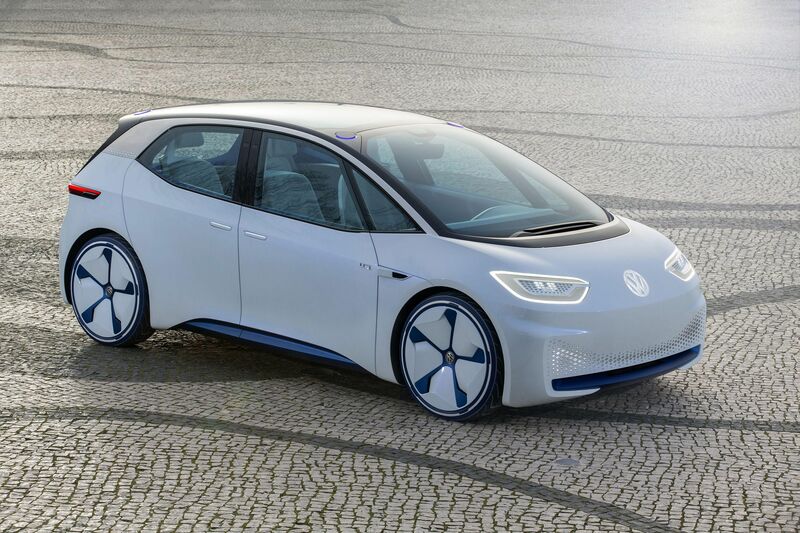 VW claims ‘the First complete transformation of a major car factory from internal combustion engines to e-mobility in the world’. All they have to do then is sell the products to a so-far unenthusiastic public, at a rate of about 900 a day. Before you ask: ‘Power supplies at the Zwickau plant were already changed over to 100 percent eco-power in 2017.’ And they waffle about ‘climate protection’ to appeal to wide-eyed planet-savers. 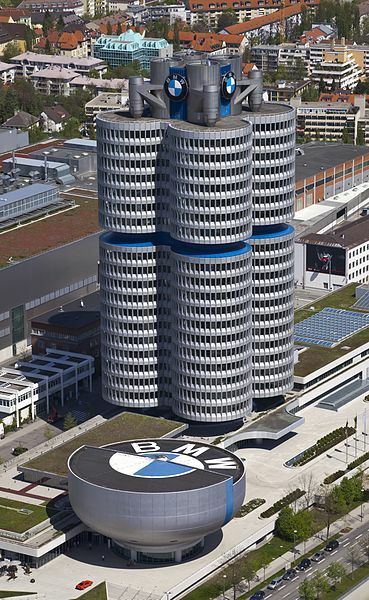 Germany’s biggest carmaker VW has substantiated plans to transform its product line and drastically scale-up the share of electric cars by revealing plans for a major e-car factory in the eastern German city of Zwickau, says CleanEnergyWire. We keep hearing this, but the suspicion is that only a fraction of vehicle users are at all bothered, as most don’t want an expensive range-limited electric car with uncertain charging options anyway. Notions of slaying phantom emissions dragons won’t be enough to make them popular, as sales to date show. The coming electric vehicle boom will significantly increase the demand for cobalt in the EU and globally, says Phys.org. As a result, demand is expected to exceed supply already in 2020 and the EU must take steps to boost supply and curb demand without hindering the growth in electric vehicles, according to a new report by the European Commission’s Joint Research Centre (JRC), presented at the EU Raw Material Week in Brussels. Company car drivers don’t have time to wait for recharges when working, even if they could find an available charging point, and usually they aren’t personally paying for the fuel anyway. 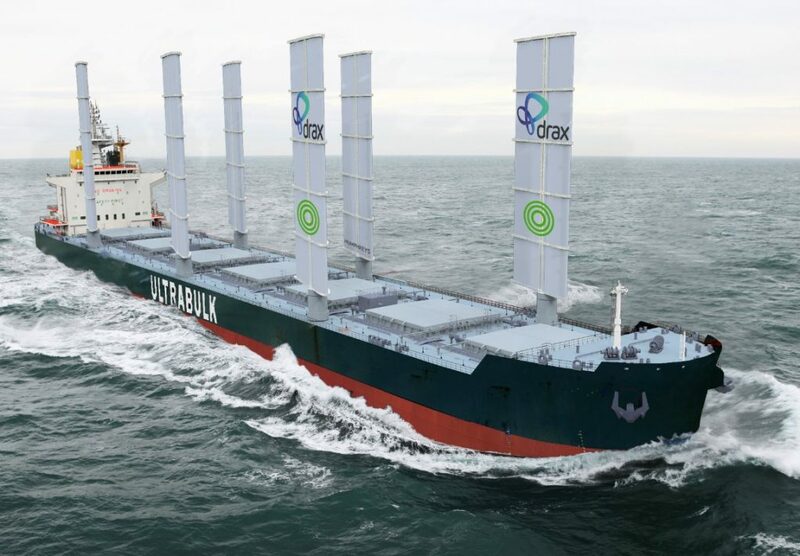 Farcical waste of subsidies, but at least the batteries won’t be worn out when these vehicles hit the second-hand market. 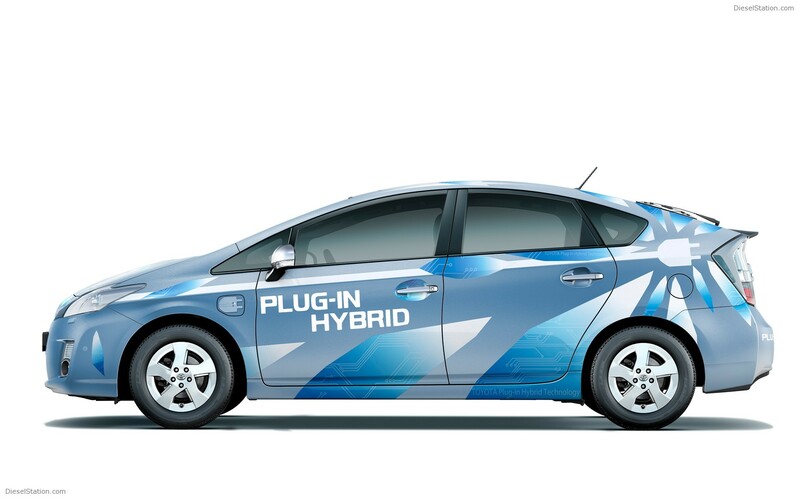 Plug-in hybrids bought for fleets with subsidies may never have been charged, research for BBC shows. Tens of thousands of plug-in hybrids (PHEVs) bought with generous government grants may be burning as much fuel as combustion-engine cars. ​Data compiled for the BBC suggests that such vehicles in corporate fleets averaged just 40 miles per gallon (mpg), when they could have done 130. Tinkering with electric and hybrid vehicle technology is one thing, but getting today’s buyers to willingly pay for it is another, as shown by weak sales despite the already widespread use of hefty subsidies. 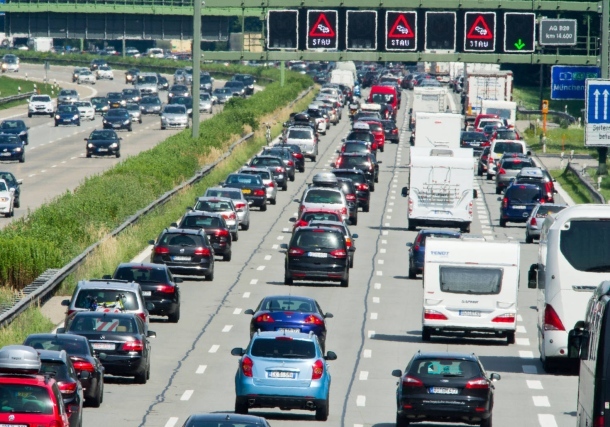 Pan-European efforts under the ECOCHAMPS project have led to the development of five hybrid vehicles boasting reduced CO2 emissions, higher efficiency and powertrains with reduced weight and volume, says the European Commission’s CORDIS News. The current focus on electric vehicles as the cornerstone of future urban mobility shouldn’t make us forget that their hybrid counterparts have a future too – and that this future is now. 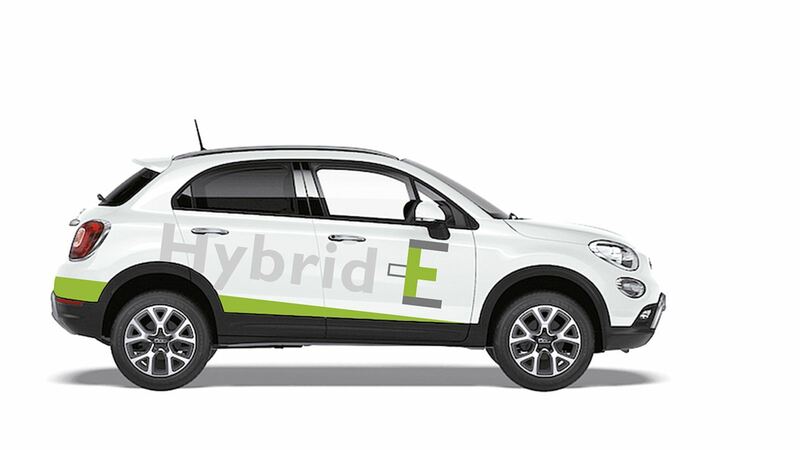 With electric vehicle range and a lack of charging infrastructure still being a problem, hybrid vehicles are likely to become the preferred solution for travelling beyond city limits, but on one condition: the development of easy to integrate, cost-efficient hybrid powertrain technology. The ECOCHAMPS (European COmpetitiveness in Commercial Hybrid and AutoMotive PowertrainS) project was created with this requirement in mind. Since May 2015, the 25-strong consortium – which includes light- and heavy-duty vehicle manufacturers FIAT, Renault, Daimler, Iveco, MAN and DAF Trucks – has been working on solutions to improve powertrain efficiency by up to 20 %, reduce powertrain weight and volume by up to 20 % and, broadly speaking, make hybrid vehicles more cost-effective. The results of the project, which include a modular system and standardisation framework for hybrid electric drivetrain components and auxiliaries for commercial vehicles (available on the project website), a set of electric components for hybrid powertrains, and optimised drivelines, have been demonstrated in two light-duty and three commercial vehicles at TRL 7. These vehicles are a FIAT 500X, a Renault Megane, a medium-duty commercial truck, a city bus and a heavy tractor. Guus Arts, coordinator of the project on behalf of DAF Trucks, discusses its outcomes and importance for the future of mobility in Europe. Political control of the market for personal transport looms ever larger. 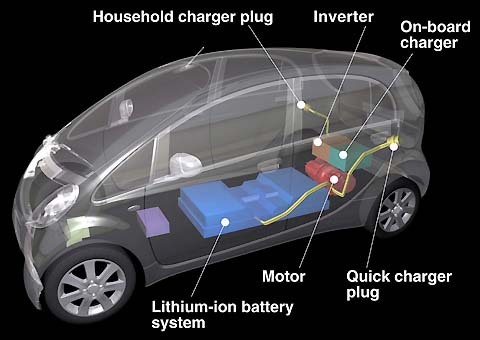 The known shortcomings of electric cars (range, cost, recharging time and facilities, etc.) and the potentially massive loss of fuel tax revenue are not mentioned. 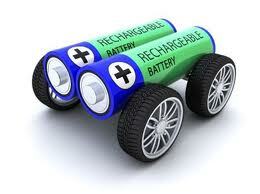 The government’s 2040 deadline for shifting to electric-powered cars criticised as ‘unambitious’, BBC News reports. A ban on sales of new petrol and diesel cars should be brought forward by eight years to 2032, MPs have said. The government’s current plans to ensure all new cars are “effectively zero emission” by 2040 were “vague and unambitious”, a report by Parliament’s business select committee said. 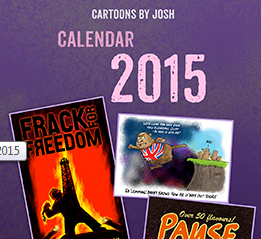 The war on the harmless trace gas carbon dioxide is in full swing at the EU. The diesel scandal, which was about nitrogen oxides, seems strangely to have been used as an excuse to press for a more punishing policy towards CO2. But they appear to ignore the fact that even if electric car sales go up, this mainly transfers the supposed problem to fuel-burning power stations. The European Parliament wants to cut CO2 emissions from new cars and vans by 40 percent by 2030 and will try to convince the European Union’s 28 nations to back the idea despite objections from the powerful car industry, reports Phys.org. The proposed cut agreed on by the legislators Wednesday was a compromise between environmentalists who wanted tougher commitments and those who wanted to avoid too much damage to the auto industry. The EU nations will discuss the measures further this month. Car producers in the EU are warning that tough cuts would cost manufacturing jobs. How long does an introductory incentive period for EVs have to go on for? The hefty subsidies have to come out of finite state budgets. Earlier this year, Congress passed an irresponsible budget bill that included handouts for electric vehicle owners and alternative fuels. Eager to frivolously waste more taxpayer dollars, some legislators are now pushing to extend the electric vehicle tax credit and lift the cap on the number of vehicles that qualify for the credit by each manufacturer. Doing so would reward special interests and only benefit the wealthiest Americans. Congress should instead eliminate the subsidies for electric vehicles. Promoted as a way to wean Americans off their alleged addiction to oil, both federal and state governments have generous handouts for electric vehicles. Consumers can use up to $7,500 of other peoples’ money to buy an electric vehicle.